Favorite Time of year to go to Disney – Fall, when it starts to get cold in Wisconsin! I have experience with travel to Disneyland, Disney World, Universal Studios, multiple cruise lines and Hawaii. As one upside of being a child of divorced parents, I was able to get a double dose of Disney World as a kid through separate trips with both my mom and dad! 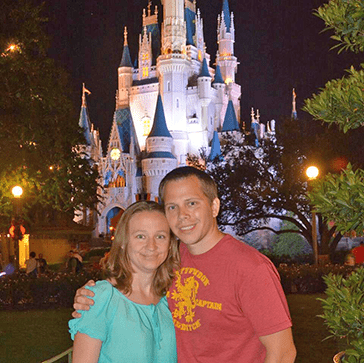 My husband was not as lucky, so I got him hooked on Disney World as an adult. We have taken both our children, Xander and Desiree, on Disney adventures since they were babies. I live in McFarland, Wisconsin and enjoy helping local people from Madison make their “big trip” dreams happen.